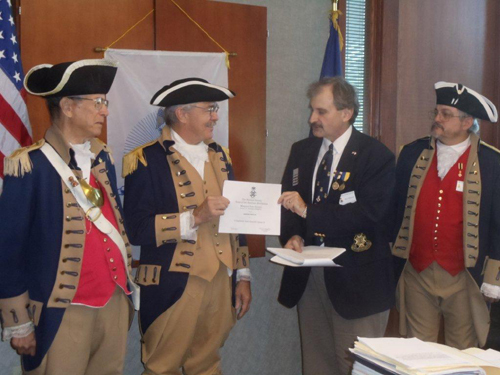 The Harry S. Truman Chapter inducted Compatriot Jack Kenneth Quint II into the ranks at the 324th Meeting on Saturday, June 9, 2012. President Dirk A. Stapleton and the Harry S. Truman Chapter Color Guard officiated during the ceremony. 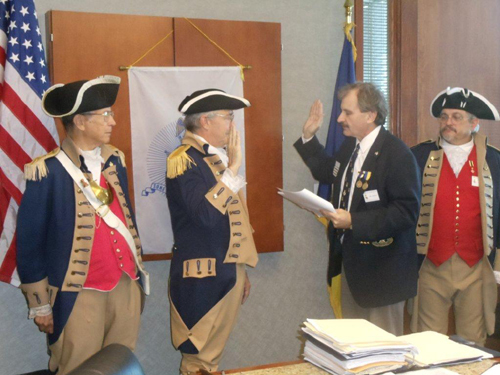 President Dirk Stapleton presented Compatriot Jack Quint with his membership oath and membership certificate. On behalf of Compatriot David McCann who was his Sponsor but unable to attend the ceremony, Compatriot Robert Grover acted as Compatriot Quint's sponsor during the ceremony. 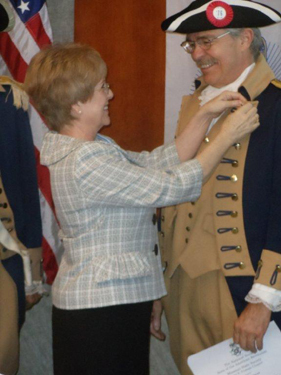 Diana Ritter, Regent, Independence Pioneers DAR Chapter, also participated in the ceremony by placing the SAR Rosette on Compatriot Quint's lapel. At the closing of the ceremony, Compatriot Jack Quint also received his Harry S. Truman Chapter Coin. All Harry S. Truman Chapter members congratulated Compatriot Jack Quint after the induction ceremony. Compatriot Jack Quint stated that he was very proud about being installed into the SAR. Also after the ceremony, Compatriot Quint was given a chance to tell us about his Patriot Ancestor, John Crozier. Left Photo (L - R): Major General Robert L. Grover, MOSSAR Color Guard Commander; Compatriot Jack Quint; President Dirk A. Stapleton, and Compatriot Perry Dean "Bud" Marks. Left Center Photo (L - R): Major General Robert L. Grover, MOSSAR Color Guard Commander; Compatriot Jack Quint; President Dirk A. Stapleton, and Compatriot Perry Dean "Bud" Marks. 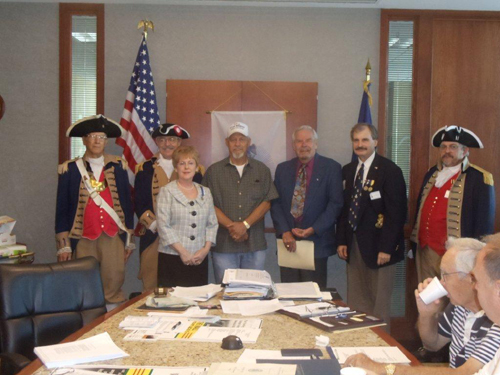 RightCenter Photo (L - R): Diana Ritter, Regent, Independence Pioneers DAR Chapter and Compatriot Jack Quint. Right Photo (L - R): Major General Robert L. Grover, MOSSAR Color Guard Commander; Compatriot Jack Quint; Diana Ritter, Regent, Independence Pioneers DAR Chapter; family guest; Compatriot Robert Quint; President Dirk A. Stapleton; and Compatriot Perry Dean "Bud" Marks.